Dorothy M. Heim, 84 of 10140 Key West Drive, Dubuque, died July 27, 2018 in her home. Services will be at 11:00 a.m. Friday, August 3rd at St. Joseph Catholic Church Key West. Family and friends may gather after 9:00 a.m. Friday at the church. Burial will be in Pilot Knob Cemetery, rural Galena, Illinois. Leonard Funeral Home & Crematory, Dubuque, IA is in charge of arrangements. Dorothy graduated from Lisbon High School, Lisbon, Iowa in 1951. She worked at Insurance Companies and Turner Manufacturing in Cedar Rapids. After marriage she was a "stay at home" mom for 19 years, then worked in Admitting at Xavier Hospital for seven years and Nursing Service at Mercy Medical Center for 12 years. 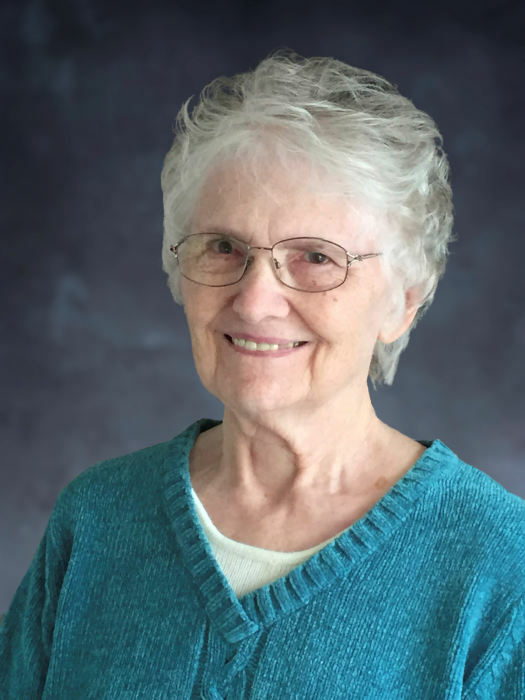 Dorothy loved working on her genealogy, reading, arts and crafts, crocheting, quilting and traveling on vacations with her daughter, Jane, and her sister, Mary, and niece Debbie Hagerty, many of them doing genealogy. A high point was standing before the very altar her great great great grandparents were married in 1796 in the Parish Church of Llanelian in the County of Anglessey in Wales. She was born on October 10, 1933, in Mechanicsville, Iowa, daughter of Edward and Pauline (Spencer) Sheber. She married Clifford J. Heim on August 4, 1956 in Immaculate Conception church in Cedar Rapids, and they lived in Dubuque from then on. Surviving are her husband Cliff; three daughters, Mary Catherine (Rob) Blok, of Sumter, South Carolina, Jane Heim, of Boise, Idaho, Sara (Jeff) Levin, of Armada, Michigan; two sons David Heim, of Carpenterville, Illinois, and Paul Heim, of Boise, Idaho. 11 grandchildren and 12 great grandchildren; a sister, Mary (Fred) Thielen, of Bellevue, and a brother, Robert (Karen) Sheber, of Guttenberg; a sister-in-law, Charlotte (Charles) Ronek, of New Vienna, IA, and many nieces and nephews. She was preceded in death by her parents, a son, Mark Heim, two brothers, Edward S. Sheber and William Sheber, and a sister, JoAnn Robinson. Mom fought a courageous battle with cancer and died as gracefully as she lived. She was surrounded by family members as she left this life. She will be truly missed by all of us who love her so dearly. Our family wishes to express our sincere gratitude to both Mercy Homecare and especially Hospice of Dubuque who have guided us through this difficult journey. Memorial donations may be given to Hospice of Dubuque in Dorothy Heim’s name.